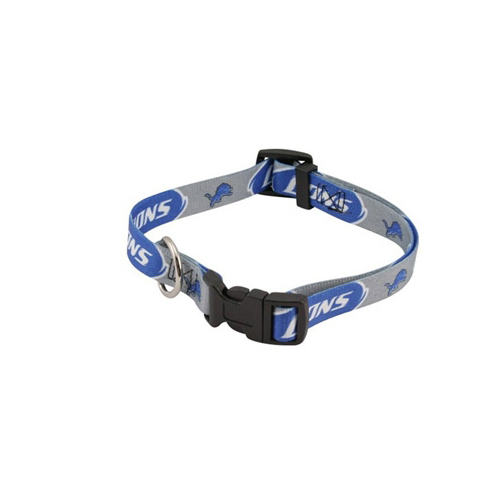 Show support for your favorite football team with this adjustable nylon officially licensed NFL dog collar! Full color printed Detroit Lions team logos. Nice collar. Fits great, adjusts easily to correct size to fit his neck. Material is great & color is true. Looks great with the matching leashing & jersey. Can't wait till game day!! loved the web site was fun to work with and find items. Very user friendly!